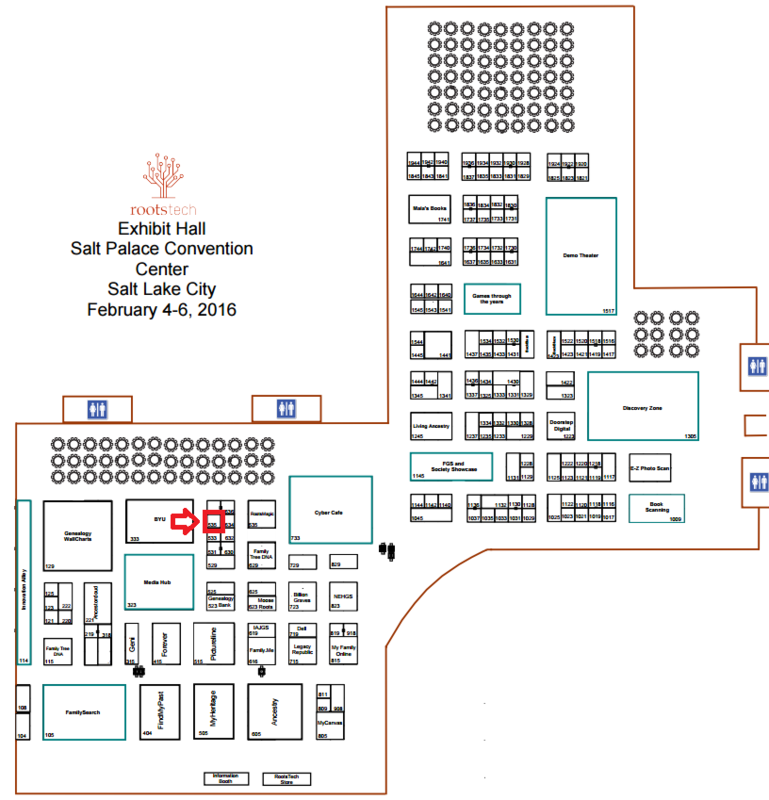 You are here: Home > RootsTech 2016 Begins This Week! RootsTech 2016 Begins This Week! We are ready for RootsTech! Are you planning to attend? The ResearchTies conference special will be free, one-on-one mentoring sessions (30 minutes each). Take advantage of the opportunity to work with a personal tutor to answer your questions and help you get started. Appointments may be made any time prior to the conference by sending a request to: support@researchties.com. Give us a couple of options for the day(s) and time(s) that will be convenient for you, and we will send a confirmation email. You are welcome to make an appointment during the conference as well, just come to our vendor booth. If you would like more than one session, that is fine, too. Make learning ResearchTies one of your educational goals for RootsTech. See you there! Visit us in the vendor hall at booth #535, across the aisle from the large BYU booth. See demos, ask questions, and pick up a ResearchTies ribbon for your name tag. For more information about RootsTech, click on the image below.